Beautiful Single Story Ranch with a Nice Setting on 4.8 acres! 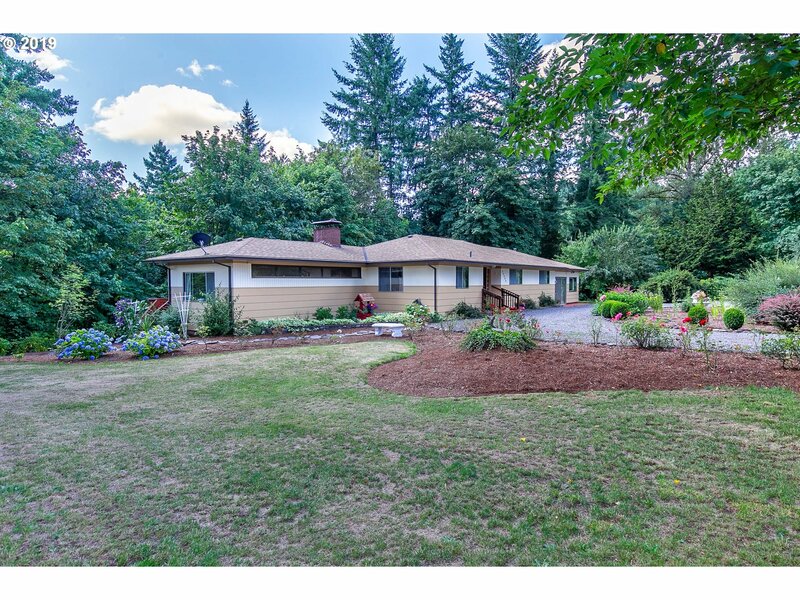 This custom built home is well maintained w/ double sided wood fireplace, view of Mt. Hood from living room + deck, lg kitchen w/ appl, formal dinning, lg bedrooms, huge family room. Nice outdoor entertaining on lg private deck, landscaped grounds, 30x50 shop w/power/concrete. Great hobby farm w/ 2 chicken coups, fruit trees, berries, garden, pasture and wooded. RV parking!